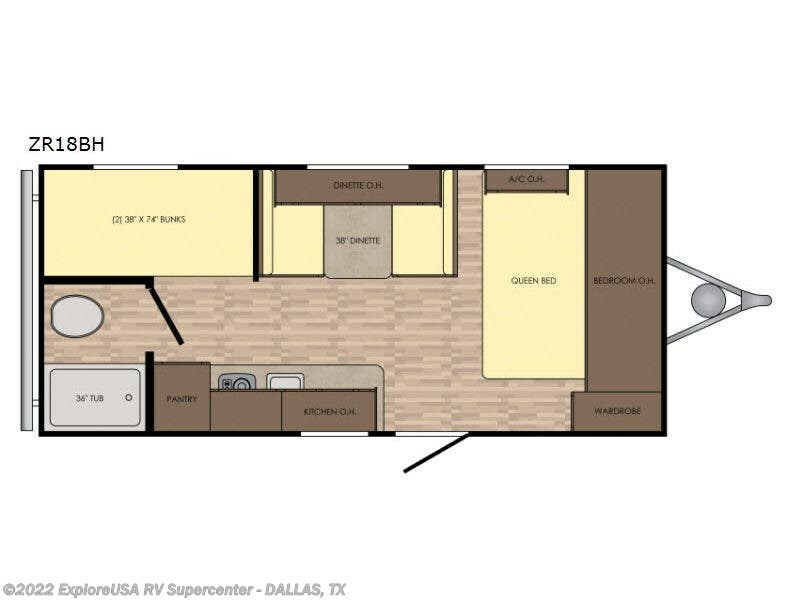 This travel trailer is perfect for your next family vacation. With room for six, pack up the kids and the dog and get ready to hit the road! 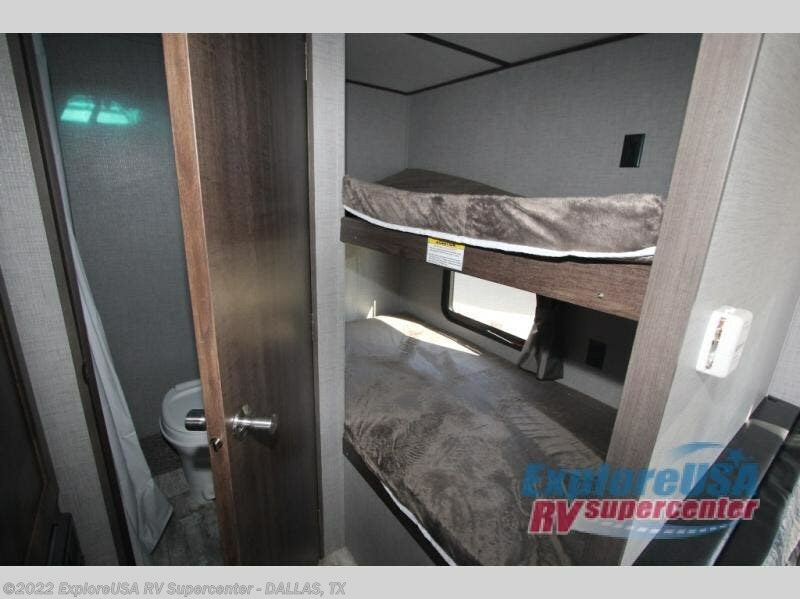 Featuring a queen bed and bunk beds, everyone will have a place to sleep. The 38" dinette can comfortable hold one to two little ones. Use the two burner cook top to make a home cooked meal and easily store your dry goods in the kitchen pantry. Enjoy extra privacy with a rear corner bath, including a 36" tub and a curved shower track, giving you space to move around. 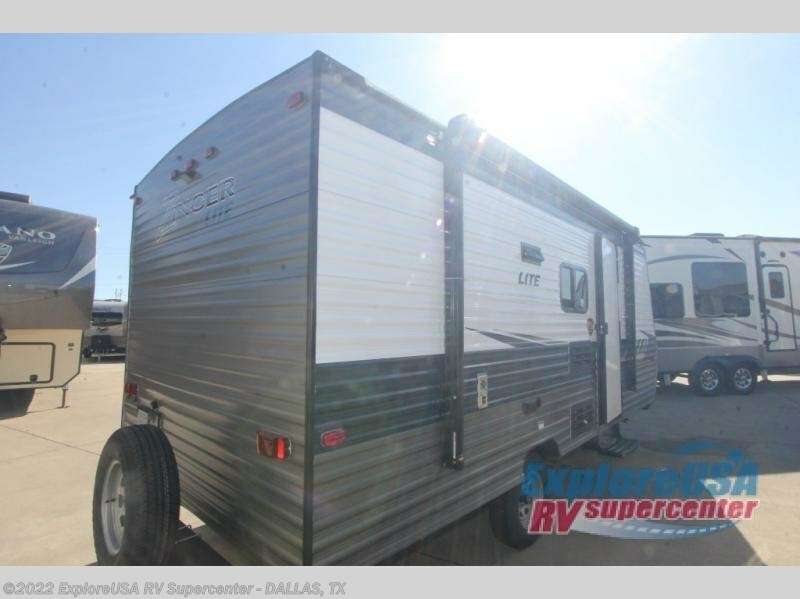 This unit features multiple overhead compartments, so bring along the board games and other valuables from home. 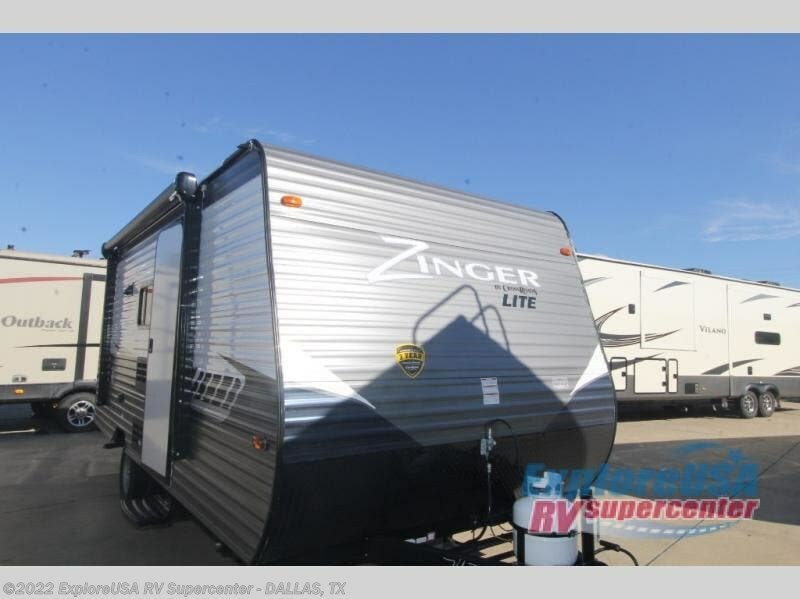 Don't wait, adventure is calling your name with this Zinger Lite travel trailer! 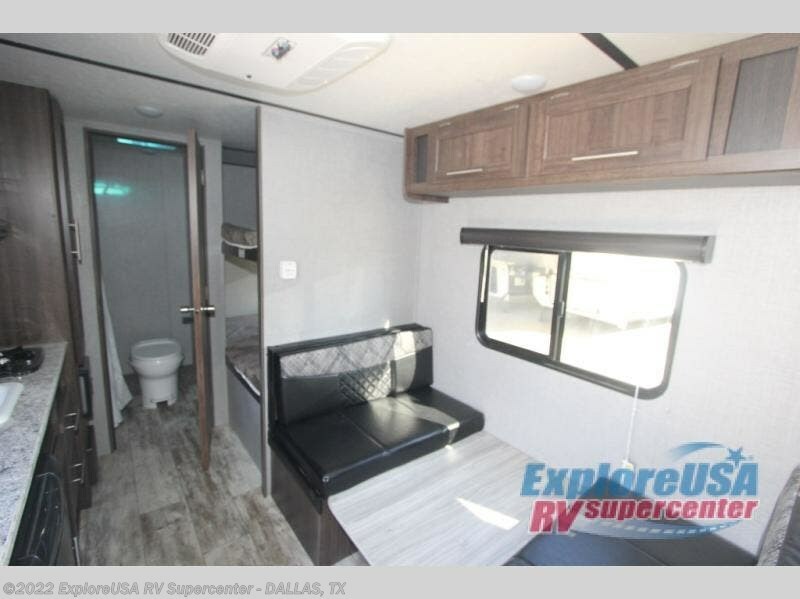 In each Zinger Lite travel trailer you will find a queen bed, cable TV hook-up in the bedroom, and a spacious full bath to make you feel right at home. You'll appreciate multiple storage compartments for all your valuables. 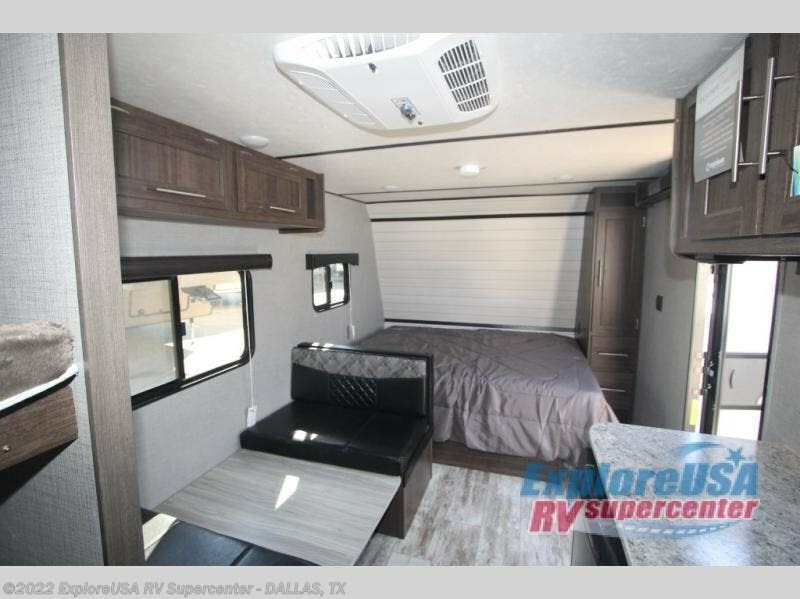 Relax in style with woodgrain linoleum, designer valances, and speakers w/LED accents. 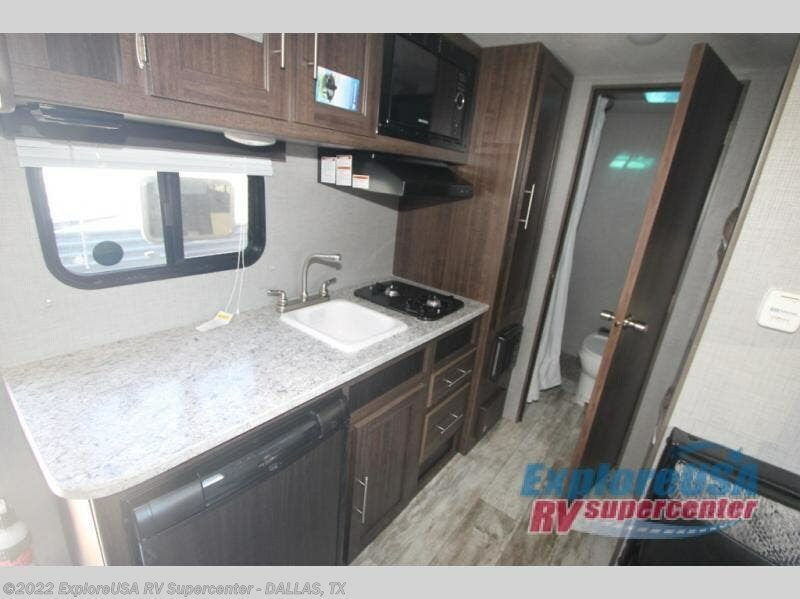 These travel trailers also include diamond plate front stone guard, rear stabilizer jacks, and tinted safety glass windows to ensure durability and safety. 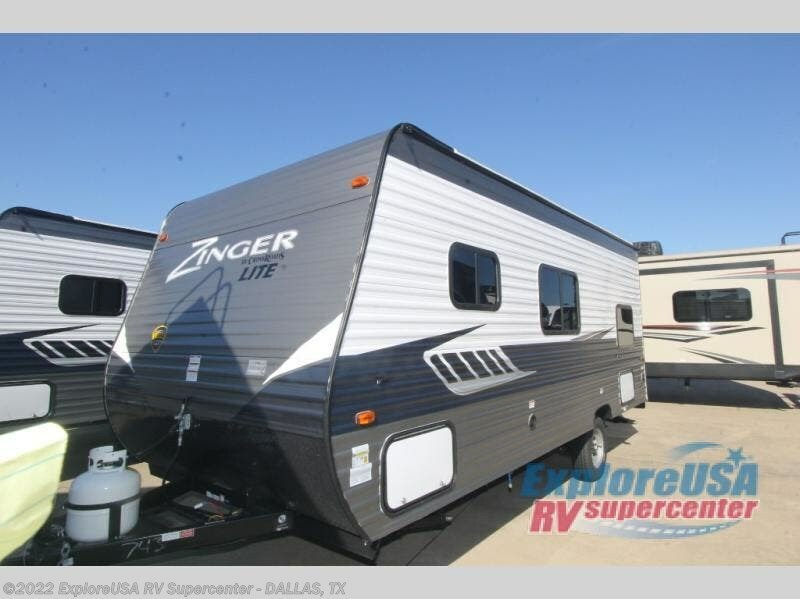 With multiple floorplans to choose from, come find the Zinger Lite travel trailer that best fits your lifestyle! 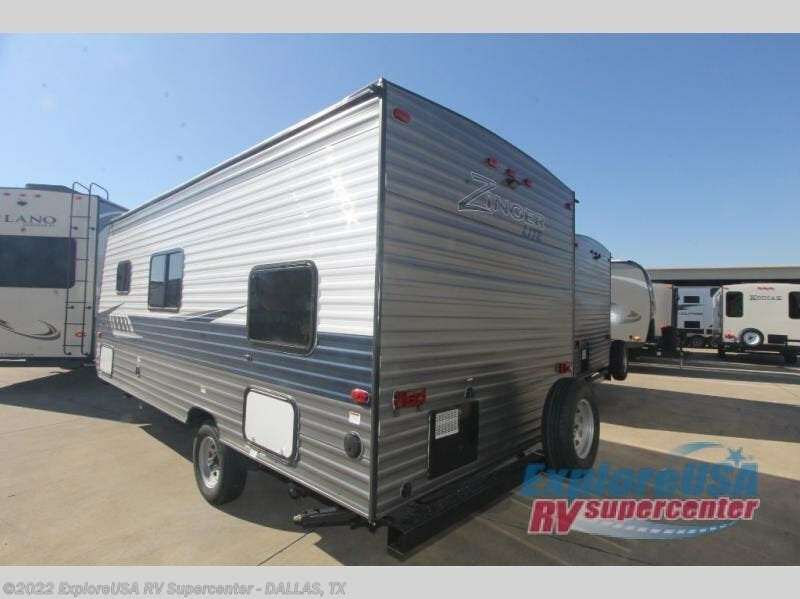 Check out Stock # M2789 - 2019 CrossRoads Zinger Lite ZR18BH on crossroadsrvsource.com!